In 1915, Laura Ingalls Wilder traveled by train from her home in Missouri to San Francisco. Laura's westward journey to visit her daughter, Rose Wilder Lane, coincided with a spectacular event taking place in that city-the Panama Pacific International Exposition. This was a great world's fair celebrating the completion of the Panama Canal, and Laura was amazed by the attractions that had been gathered there. Her husband, Almanzo, was unable to leave their Missouri farm, and it was Laura's letters that gave him the chance to see what she saw during her visit to California. 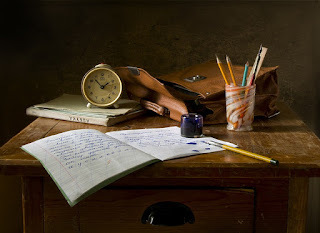 These letters, gathered together here, allow the reader to experience Laura's adventures and her intimate thoughts as she shared with her husband the events of her exciting sojourn. It's a real life epistolary story, and not a fictional one.This book is a great historical document that fascinated me from start to finish. In 1915, Laura's daughter Rose was a well-known journalist in San Francisco, and invited her parents to visit. 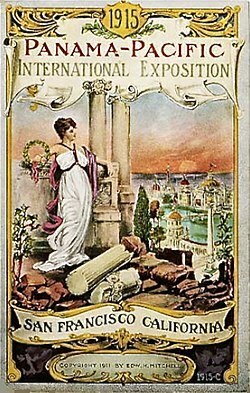 The Panama-Pacific International Exposition was being hosted there at the same time, which highlighted the best goods and produce many nations had to offer. The descriptions of it remind me a bit of the Great Exhibition in Victorian London, but this one had the benefit of far more developed technology, being about 65 years further advanced. Of course one of them had to stay home to look after the farm, so Laura set off and promised to keep Almanzo updated. She wrote him long, descriptive letters almost every day, and we get to read them all in this book. Nowadays we'd send quick snaps from our phone, but back then, her words were the picture. She took care to keep them extra detailed, and those of us separated by space and time get the benefit. Laura herself wasn't always happy with them. 'I am disgusted with this letter. I have not done halfway justice to anything I've described.' Although I loved the book, I couldn't quite shake the feeling that I was snooping at somebody else's letters, or reading over his shoulder. The evidence of their devotion to each other is beautiful. Laura wasn't the type to write lovey-dovey letters, and they'd been married for over 30 years at this point anyway. 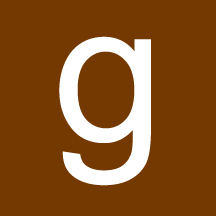 Yet the whole structure of the letters emphasises their unity. Especially lines like, 'Half the fun I lose because I am all the time wishing for you.' I love their mutual partnership. It seems they had lots on their mind, such as how to save and invest their money, and whether to move closer to Rose. Laura always writes something like, 'I've gathered all the literature to show you, so when I get home we'll discuss it.' It's a great picture of a good, stable marriage. Her lifelong frugalism comes through too, as she was always counting her pennies. The world fair sounds amazing. 1915, with its electricity and tram cars and moving picture theatres, must have seemed ultra modern for people born in the late 1860's and early 70's, like Laura and her sisters. Progress had been super speedy during those forty odd years, and it reminds me of a similar scenario for those of us born about 100 years later, who can remember life before the computerised, digital world as we know it. Perhaps these last two centuries really match each other for their acceleration of progress around the turn of the century. Laura sees enough of Rose's working schedule to put her off that intense, deadline driven style of writing. 'The more I see of how Rose works, the better satisfied I am to raise chickens. I do not see how she can stand it.' It's interesting to remember this was all the before the Little House books had been started. She eventually hand-crafted a project that suited her better. And somehow with their differing styles, the mother and daughter worked on it as a team. At one stage, Rose writes a secret letter to her father, to tell him that his wife is getting fat! She seemed anxious to convince him that it wasn't her fault if her mother wanted to gobble up all the seafood and Scottish scones she set her eyes on. It seems Laura was an advocate of the 'see food' diet, if Rose is to be believed. 'See food and eat it.' The letter starts, 'Something is happening which I think you should know, although it is a painful subject to contemplate.' I thought, 'Come on, seriously?' Would Almanzo really be bothered by such a thing, and was he in the position to do anything about it if he was? 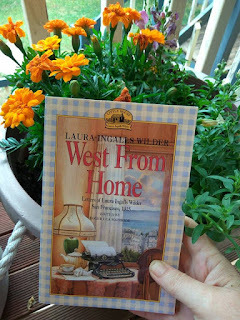 Overall, I felt like cheering because Laura achieved a lifelong dream to make it to the far west coast, even if it was just for a couple of months. I'm sure it would have crossed her mind how much her father would have loved the opportunity too, had he been alive. I love how she describes her first sight of the ocean, when she talked Rose into wading with her. 'The water is such a deep, wonderful blue, and the sound of the waves breaking on the beach, and their whisper as they flow back, is to dream about.' What a great reminder for coastal dwellers like me to never take for granted what we have all year round. I'll finish off with a few of her comments which have good historical significance. As a lifelong reader of LIW, I’ve known about this book for years but never read it, but your review has inspired me to rectify that. I like hearing that Laura writes thorough letters to Almanzo—sometimes I feel a bit sad that she seems to overwhelm him but I think I would enjoy these letters. Hi Jane, it is quite a short read, and very interesting. A really touristy sort of Little House story, if you can imagine such a thing :) I think he must have looked forward to those letters.